I love your thoughts in this blog post and the FACTS that you have also provided that show similarities in the Catholic Church and Mormon temple rituals. I have a Greek Orthodox background, I am familiar with many of the things you mentioned such as alters that are in the churches and what they represent, receiving a new name of a saint after being baptized etc. etc. I received my endowment December 2014. Best experience ever. Yes, I was nervous at first, but over all–I am so happy and blessed to be apart of temple work and to be able to be in the Lord’s House feeling my saviors love!! My heart is full. I appreciate your thoughtfulness in each post that you share with your readers. You do a remarkable job. I found your blog months after I was baptized, it was like a breath of fresh air! You are so real and genuine. Thank you for the kind words and for sharing your experience. I would be very curious to learn about your conversion and your journey. I’ll email you separately about that. I pray that God leads you back into his Holy Orthodox Church. If you are ever interested in conversing with Mormons who have made the journey into the Orthodox faith, look up “Mormons Discovering Orthodoxy” on Facebook, and feel free to contact us. I would like to point out that while Joseph Smith had not been exposed to Roman Catholicism he was exposed to Free Masonry. Was he not a Mason? I have been told that there was a Lodge at Nauvoo and many early leaders of the church were members.. While I am not a Mason my family has quite a number of Masons in it (and a goodly number of 33 degree Scottish Rite Masons)-and their rituals are full of robes and handshakes and secret names and oaths. To participate in a Masonic Temple ritual you must be a member of the Lodge and in good standing. Their rituals (like those in the Latter-day Saints Temples) are not to be revealed to outsiders. Thanks to the internet-there are few secrets about anything these days. I believe you read the book “Rough Stone Rolling” about Joseph Smith, right? In that book it discusses how Joseph Smith was a Free Mason and attended ceremonies. As he attended, it was revealed to him that the Mason rites were a degenerate form of the original rites that were done in the early Christian and Catholic Church. The author of the book believes that Joseph Smith chose to use some of the similar signs the Masons use as a teaching tool during the ceremony. Many other parts of the temple are not what the Free Masons do in their ceremonies but are very similar to what appears to have been done in the early Christian church. I pray the same for you and your congregation and your family that you are safe with the storm out there. Hope you’re safe and enjoying some hot chocolate by the fire! I get the impression that 90% of what happens in the temples is released to the public. Is that true? I also get the impression that the rituals and items such as the robes and names are teaching tools similar to the way communion is a reminder of Jesus’ sacrifice. Is that true? It also sounds like the presence of the Lord really does come upon most of the participants in an increased measure during the endowment ceremony. That’s a good thing! On the other hand, I still don’t understand why the Holy Spirit would direct LDS leaders to tell members “not to share the signs and parts of the ritual that we participate in [during] the endowment portion of the temples.” I’ve been told they are sacred but that doesn’t convince me that God wants them kept under wraps. . . . If they would only let me participate, maybe I’d be convinced! I’m not that bad of a guy! Please? The Spirit of the Lord can be very, very powerful in temples if we prepare our hearts and mind before hand. When I have done this appropriately, I have had some very powerful experiences. On the other hand, when my heart isn’t ready or prepared, it has been a very negative experience for me…like the first time I went through. You mentioned why the Holy Spirit would direct not to share signs, etc. I don’t know the exact answer, but I do know that Jesus shared sacred things with his disciples in the Bible and asked them to tell no one. I would have to do some digging to see what prophets have said about it. You’re right in that they tyipcally say because it is “sacred” and not “secret”, but it would be interesting to dig deeper into that. Also, I know you have a deep commitment to the Lord and He speaks to you often so you are confused about why you couldn’t enter into the Lord’s temple. All I can say is pray about that and see what the Lord tells you. I don’t know why things are set up like they are, but I’m always learning. Also, Cal I hope and pray you and your loved ones are safe during the storm out there. Make some snowmen and go sledding for me! I miss the snow! Thanks. We’re experiencing an especially wintery January in NH. Actually I believe Cal got hit far harder then we did in Pennsylvania! However I never need an excuse to enjoy a mug of hot chocolate! Thanks for the prayers though as we still have many more weeks of winter-hopefully the weather has been okay out your way. I like how the Catholic Church is the great whore of the earth until we find that they did/do something similar to Mormonism. Then they are a sign that Mormonism is the one true Church. I am a former Mormon who converted to Eastern Orthodoxy, and I am currently completing graduate study in early church history and theology. I found your piece interesting and thought I would add my two cents. 1. There were indeed rituals open to both Christians and non-Christians alike in the early Church, but it should also be noted that these rituals were much different than those that now take place in the LDS temple services, and the only requirement for one to have access to these exclusive rituals was baptism. The Eucharist has always been central to Eastern Orthodox and Roman Catholic worship just as the sacrifice was central to Jewish temple worship. 2. One can still find places in which men and women are separated during worship, such as Orthodox Judaism and some Russian Orthodox parishes. There are examples of rituals all over the world distinguishing men from women, so this isn’t all that significant. 3. Once again, white garments are used across cultures and religions within worship services. Not that significant. 4. I’d like to see a citation on this. As early as the Didache, which was written during the first century, the central act of worship, being the Holy Eucharist was seen as akin to the temple sacrifice and thus wherever the Eucharist was taking place would have been seen as a temple. 5. In churches with “veils” and altars, the altar side of the “veil” was for clergy and those participating in the preparation of the Eucharist, at least during the Liturgy. 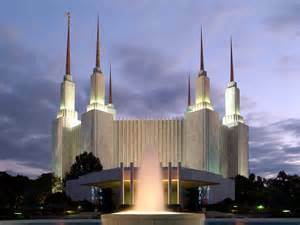 Only a select few are allowed on the altar side, whereas in LDS temple theology anyone who has their temple recommend can go through the veil. 6-7. Citation, please. I have never seen any evidence of this, whether manuscript or archaeological. 8. Once again, similar practices can be found all over the world. Who else besides the presiding clergyman would lead communal prayers and statements? Once again, thank you for taking the time to write this interesting comparison. For the sake of intellectual honesty, though, I believe it is important for us not to draw unwarranted connections between faith practices, especially without providing details as to how faith traditions are distinct from one another. After all, just because two cars are roughly the same size and color doesn’t mean they are similar where it counts, in the engine. Perhaps you can follow up this post with an in-depth examination of how the early Church ritual was different from modern LDS temple ritual. « Merry Christmas from GraceforGrace!